Funds from Bangor Savings Bank Foundation will support of historic stone bridge repair. HALLOWELL — Vaughan Woods and Historic Homestead, a nonprofit nature preserve and historic house museum, was recently selected as a grant recipient this quarter by Bangor Savings Bank Foundation. The $5,000 grant will support repairs to the 1930 High Arch Bridge in Vaughan Woods. 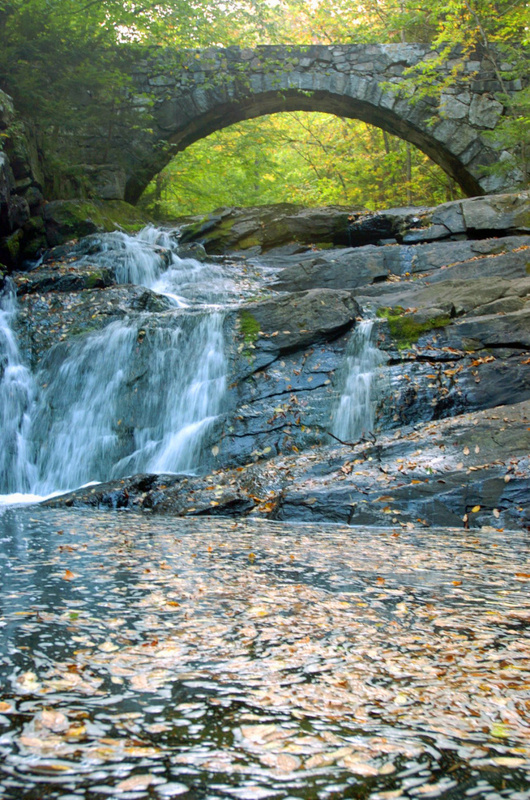 In 2015 the bridges of Vaughan Woods were chosen by Maine Preservation as one of “Maine’s Most Endangered Historic Sites.” Due to stream erosion, embankment instability, shifting abutments and/or disintegration of masonry and the impact of hundreds of visitors to the Woods each day, the dry-laid stone bridges are in need of numerous critical structural repairs. In collaboration with the Kennebec Land Trust, The Appalachian Mountain Club, Maine Preservation, Forgotten Stoneworks and other local stakeholders, the homestead is working to plan and implement the restoration project under the advisement of the Maine Preservation Commission, who holds the preservation easement on the property. Stonemasons have pinpointed the measures required to restore the stone bridges, and the highest priority has been placed on work to the 1930 High Arch Bridge which is within the Homestead’s listing on the National Register of Historic Places. Repairs to the bridge will be made over a two year period and are set to begin early this summer. For more information about the bridges of Vaughan Woods and how to support the restoration efforts, visit vaughanhomestead.org.